Dr. Nitin Goyal is a board-certified orthopedic surgeon, having earned a reputation as among the leading orthopedic specialists Northern Virginia has to offer. He has the skill and ability to diagnose and treat most non-optimum conditions of the muscles and bones. However, Dr. Goyal decided to take a different approach and specialize primarily in the surgical treatment of the hip and knee. Since focusing his attention on these two areas, he has become renowned in the field and has been asked to contribute to major orthopaedic medical journals as well as co-edit for two medical textbooks on the topic of joint replacement. For his efforts and dedication he was awarded the Everett J. Gordon Award for displaying “the most outstanding clinical and surgical achievement.” This is why he is known to deliver the best hip & knee replacement Northern Virginia has available. Hip replacement is a major surgery requiring recovery in the hospital. The traditional method (posterior approach) involves making a surgical incision along the posterior or outer buttocks; this incision can be 10 to 12 inches long. Entering from here, your surgeon needs to cut some of the muscles around the hip joint to get access to the hip itself. These muscles then need to be repaired after the hip replacement portion of the procedure is completed. Due to the cutting then repairing of the hip muscles, the recovery time is 2 to 4 months. The posterior approach has been providing successful outcomes for years but at the cost of a long and painful recovery. Dr. Goyal specializes in a newer, less painful approach with minimal recovery time. While the anterior approach to hip replacement is more advantageous to the patient, it is significantly more complex. In any type of hip replacement, the skill of the doctor is the most important factor, but this is even truer of the anterior approach. 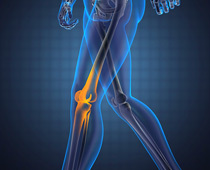 That is why it is best done by the premiere orthopedic surgeon Northern Virginia has available, Dr. Nitin Goyal. While Dr. Goyal is a premier hip and knee replacement surgeon in Northern Virginia, his expertise also extends to those patients who need revision surgery. 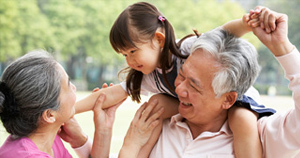 Take a minute to also view our total hip replacement surgery in North Virginia . If you’ve experienced any of the above conditions, please contact our office today. 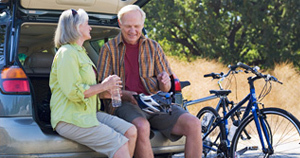 When these conditions become too severe, partial or total knee replacement is needed. Due to the complexity of the replacement procedure, you need a very practiced hand. A surgeon that occasionally does this procedure is less likely to have the experience required to do the best job possible. That is why Dr. Goyal specializes in the specific field of replacement surgery to provide you with the finest outcome possible. It is no wonder his patient and peers say he delivers some of the best hip and knee replacement Northern Virginia has available. Dr. Goyal believes every patient is unique and should be treated as such. He knows that you are putting your quality of life in his hands and this responsibility he does not take lightly. His pride in his job comes from the satisfaction and happiness of his patients. This is why he is known as one of the best orthopedic surgeons Northern Virginia has available. “Doctor Nitin Goyal accepted the challenge of treating my husband’s chronic knee problem and saved his life. Over a 12 years period, the disease that was destroying my husband knee joint had not been diagnosed properly. By March 2012, my husband was in excruciating pain, had a fever and could barely walk. At that point we went to see Dr. Goyal of Anderson Orthopedic Clinic, who assembled a team of medical experts. Together they came up with the correct diagnosis and devised the proper treatment. Dr. Goyal then performed a two-stage surgery: The first one to remove the infection and treat the bone, then the second one to put in place a prosthetic knee. “I had disabling pain in my hip, and Dr. Nitin Goyal took care of me. He's a superb doctor and is the only one who took the time to listen to me, answer all of my questions and make sure I felt comfortable. I am so happy I chose him to do my surgery. I think he is one of the top hip replacement surgeons in the Washington, DC / Northern Virginia / Maryland area, and I would recommend him to anybody and everybody! Call today to schedule a consultation with the premiere orthopedic surgeon Northern Virginia has available or click here to schedule online.